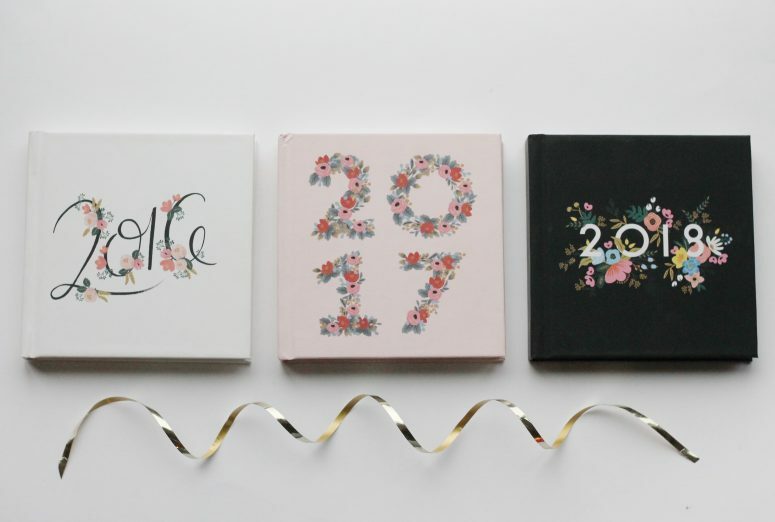 With Christmas upon us, and New Years just around the corner, it seems another year has flown by. Time is a funny thing with kids– the pace increases, yet reflecting back so much has happened in a seemingly “short” time. What they say is true, the days are long but the years are short. With Fall just around the corner, the thought of busy schedules is lurking. Paired with an ever increasing amount of stuff and demands, no wonder we can become overwhelmed. 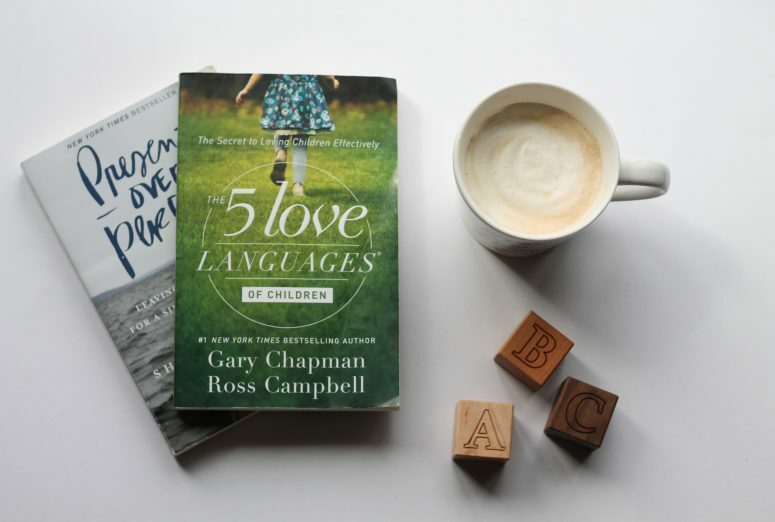 This list of parenting books shares the common theme of connection. 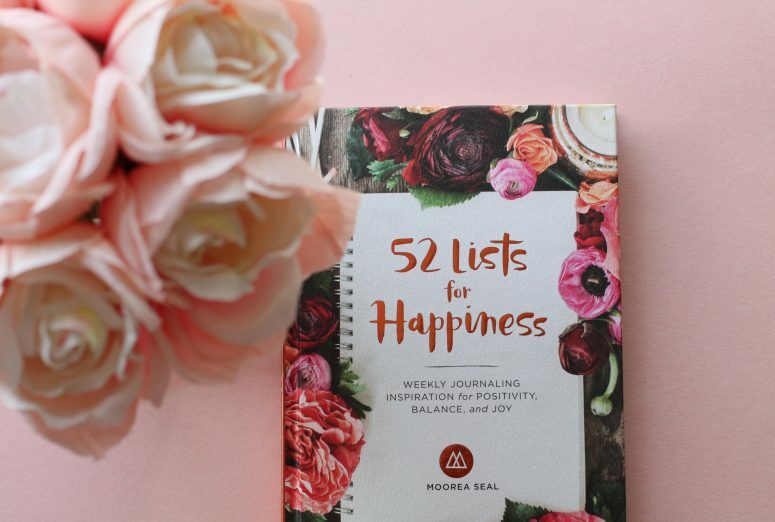 From being present, to simplifying, to focusing on love and togetherness, these inspiring reads shine light on the idea that sometimes less is more. I hope you find some inspiration and helpful strategies for enjoying time together and parenting with love! 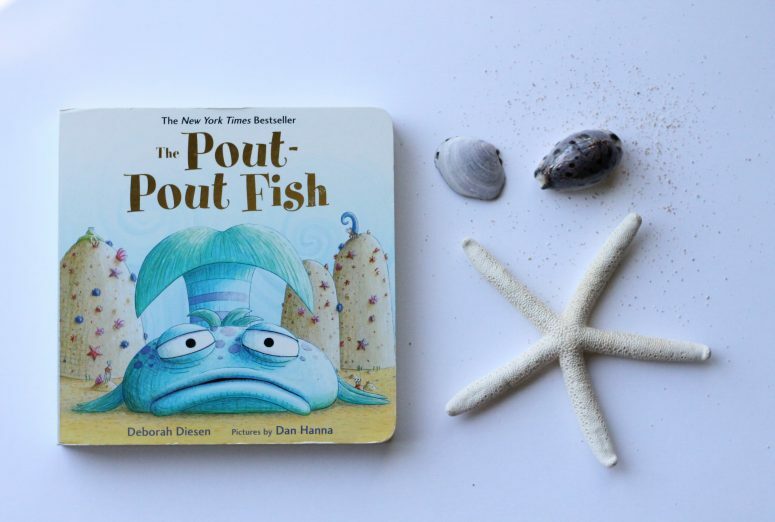 We are back for another round of #bookishplay, this week we are focusing on feelings with one of our all-time favourite books, The Pout Pout Fish! If you’ve checked out our Little Library section you’ll know that my girls love books. We’ve joined a movement on instagram (@mamawrites) to inspire young readers to have fun with the books they read through play! We’ve joined a fun creative movement over on instagram (@mamawrites) to inspire book based play in little readers! Let’s get our kids excited about books through fostering stronger connections to reading. 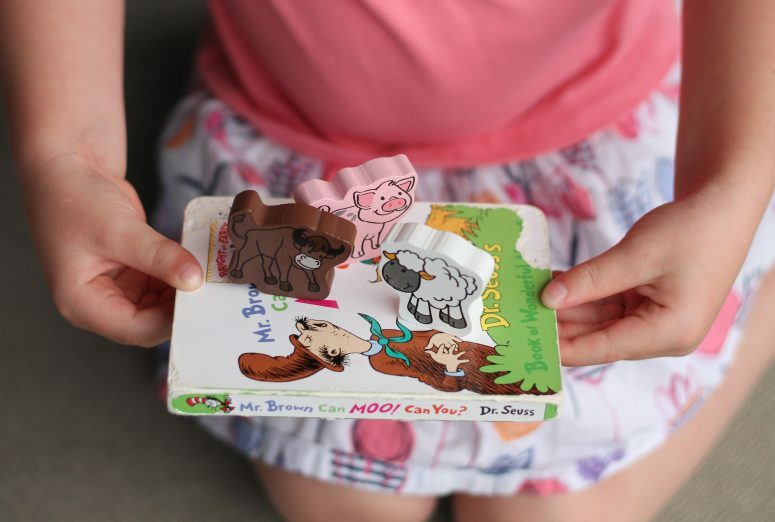 My girls love to play and to read, so why not combine these two loves and have a whole lot of fun? Anyone else feel like they’ve survived the longest winter ever and SO incredibly eager for Spring to arrive? (Me: raises hand). We’re well into spring break and the longer days have us itching to get outside, clean out alllll the stuff, and start a fresh new season. Today we are sharing five Easter books that are great for babies aged 0-2. 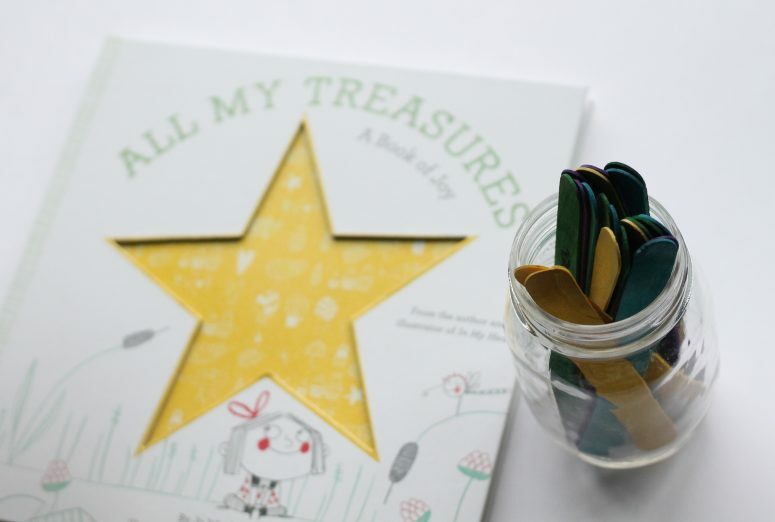 These books are filled with simple rhymes, fun songs, and bright colors– perfect for story time with your littlest reader! Easter is often filled with candy and treats, but we think books are the perfect simple gift to give. 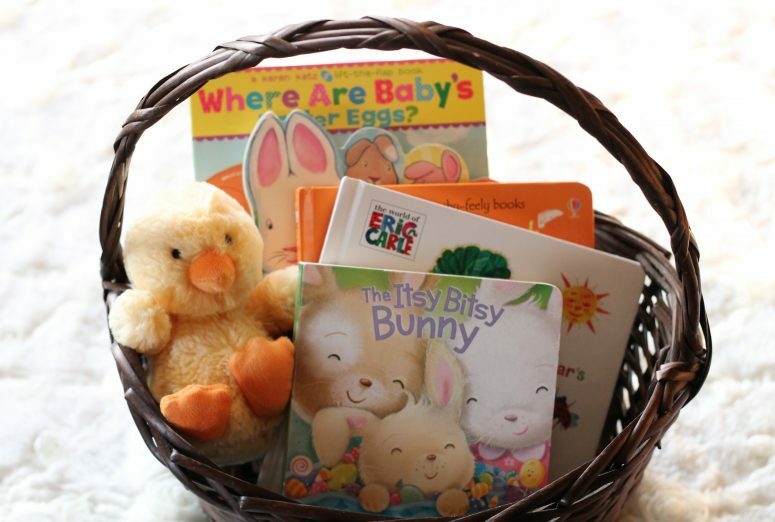 We have always include an Easter book in our baskets and we know if will get lots of use and enjoyment. The girls are always excited for a new book! Win-win in my books! 😉 And for kids a little bit older, be sure to check out our preschool Easter book list. Happy spring, Happy Easter! 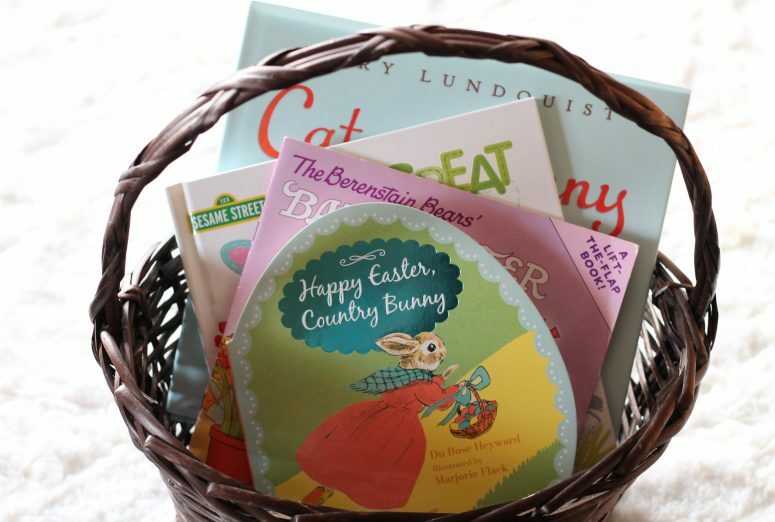 This Easter book collection is perfect for kids ages four and up. These books offer a mixture of fun, meaningful, and engaging content that is perfect preschool-age children. My oldest daughter and I love to read these books together one-on-one. We talk about friendship and inclusion while reading the book Cat and Bunny, create a fun story and guess what’s coming next in the book Egg, and look for spring animal babies in the Baby Easter Bunny. 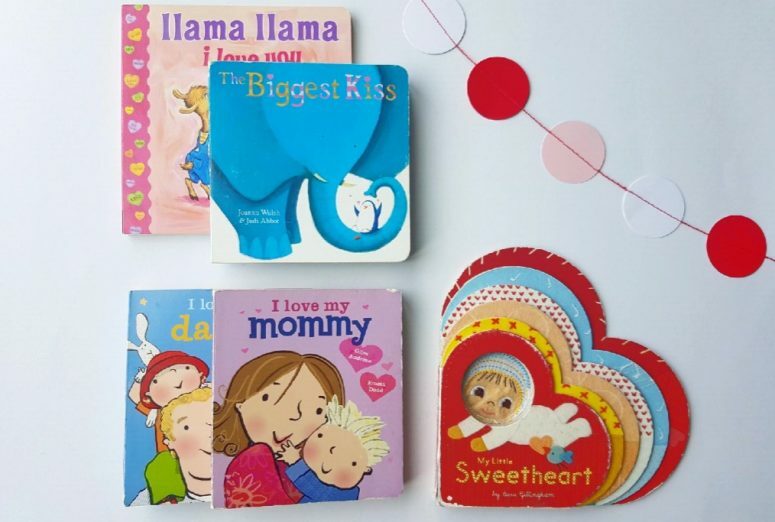 We love to read about love and kindness, and these Valentines-inspired books are perfect to read with babies ages 0-2, particularly since they feature the things that a baby’s whole world revolves around: Mommy, Daddy, and lot’s of hugs and kisses! We also love giving books for gifts, and these make the perfect gift for your littlest Valentine!